Enhance the security of your facilities and people with our smart access control solutions that restrict unauthorised entry while ensuring seamless, easy access to your employees and visitors. Security managers today are faced with the challenge of fulfilling the security requirements of their business, while ensuring smooth flow of day-to-day operations. They are not only required to ensure security of their property and people, but also ensure that their employees and visitors can gain access to different areas at the right time. 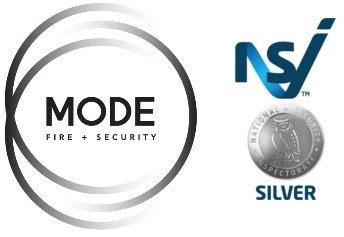 At MODE Fire + Security, we offer superior-quality and affordable access control solutions to help businesses bring security into their facility, while allowing quick and easy access to authorised Personnel. Contrary to what most people think, the benefits of access control solutions are not just limited to improved security and reduced risk of unauthorised access. Instead, they also improve employee safety and productivity by reducing access to high-security areas of a building. In addition to this, more sophisticated access control systems also allow business owners to review the information stored in the database to know who is entering and leaving their facility, as well as their time and duration of visit. At MODE Fire + Security, we specialise in the supply, installation, and configuration of wide spectrum of access control solutions designed to meet the security requirements of any premises. From basic card readers to more advance traffic control solutions, our extensive product line features cost effective solutions for businesses with diverse needs.